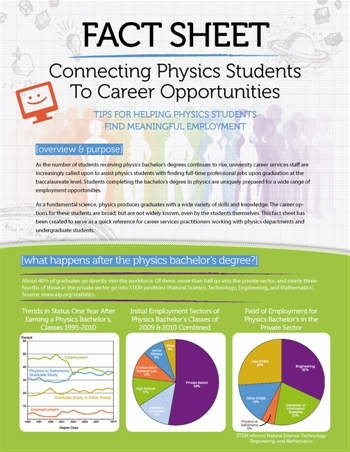 The AIP Career Pathways Project (CPP) was designed to identify common features among physics departments with a strong record of preparing physics bachelor's for the science, technology, engineering, and mathematics (STEM) workforce and to disseminate that information to the physics community. 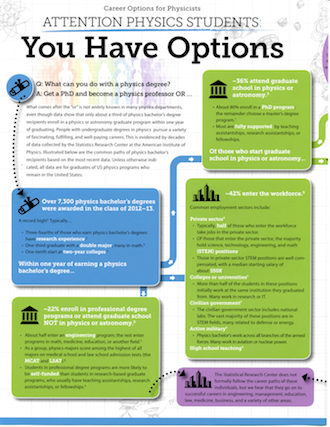 By equipping physics departments and their students with tools for effective career preparation, CPP aims to increase the overall number and diversity of physics graduates, and of those joining the STEM workforce after the bachelor's degree. This report for physics faculty and administrators describes the project findings and, for each finding, suggests specific activities that faculty members can initiate or expand in their departments. This report concludes with a brief discussion about several ways to develop strategies for change. The Career Pathways Project was carried out by the American Institute of Physics through its Statistical Research Center and the Society of Physics Students. The project was funded by a National Science Foundation grant titled, "Expanding the STEM Workforce by Equipping Physics Bachelor's Degree Recipients and Their Departments to Address the Full Range of Career Options." NSF award number: 1011829. Questions regarding CPP should be emailed to sps-programs [at] aip.org.